In November many events are held in Tokyo. In these events you can experience Traditional Japanese culture, satisfy yourself with wonderful cuisines and indulge yourself in fine arts, to mention a few. In this issue we introduce 10 best events. 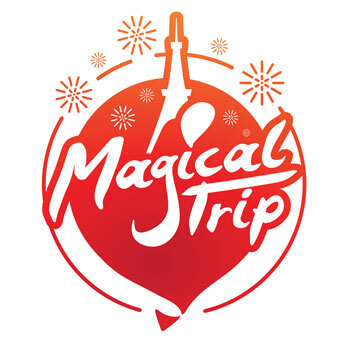 Let’s enjoy Tokyo in November! If you really want to enjoy a traditional Japanese festival, we would recommend popular “Autumn Festival” at “Meiji Jingu” Shrine held every year. “Meiji Jingu” Shrine is one of the most famous shrines in Japan with a history of more than 100 years. It is worshipped so much that more than 3 million people visit to pray during 3 days of the New Year, called “Hatsumode” (the first visit to a shrine of the year). 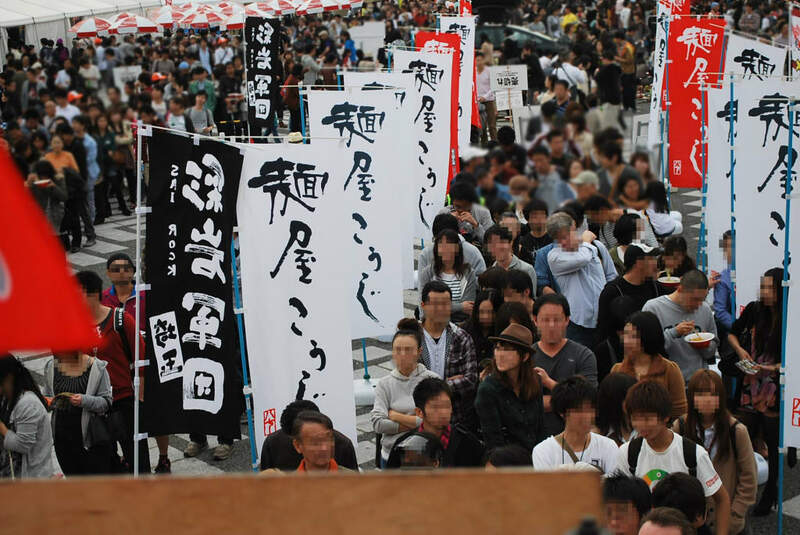 As for the Autumn Festival, “Yabusame” is the most popular attraction. A warrior riding a horse shoots an arrow to a target from a bow and this spectacle is dedicated to God. Even President Obama once enjoyed the spectacle. It will be your very exciting experience watching it so closely. Also you can watch other traditional spectacles dedicated to God such as “Momoteshiki” where people in traditional costume shoot arrows to a target, “Aiki-do” one of martial arts, and art performances called “No” and “Kyogen”. Why not go to the “Autumn Festival” at “Meiji Jingu” Shrine where you can watch various traditional ceremonial events held in the precinct with divine ambience? The National Museum of Nature and Science, the most historic museum in Japan, will hold an exhibition of Ancient Andean Civilization from October. It is highly recommended if you are interested in history. The museum was founded in 1877 and possesses more than 4.52 million valuable collections. This exhibition especially draws your attention because wonder vestiges of 9 civilizations of Andes such as Machu Picchu and Nazuca Lines will be displayed in historical sequence. You will understand human settlement in Andes, evolvements of its religion, society and politics. English and Chinese guides are available for foreigners. Why not spend some time plunging into the ancient history? Among Japanese cuisines “Ramen” is getting more popular recently. We will introduce “Tokyo Ramen Show 2017” where you can enjoy varieties of “Ramen” as much as you want. This year it will be the 9th show since 2009. The purpose of this event with many ideas is for people around the world to enjoy “Ramen”. Many popular “Ramens” with specialties of soup, noodles and toppings, from all over Japan will be brought to the show. There will be 36 shops altogether throughout the period of show by replacing the shops in the half of the period. It is one of the biggest events of this kind. This is your only chance to enjoy many popular “Ramens” from different regions in one day. Why not indulge yourself with “Ramen” for your memory of Japan at the show? “Mt. “Takao-san” is reachable in around one hour by train from central Tokyo. 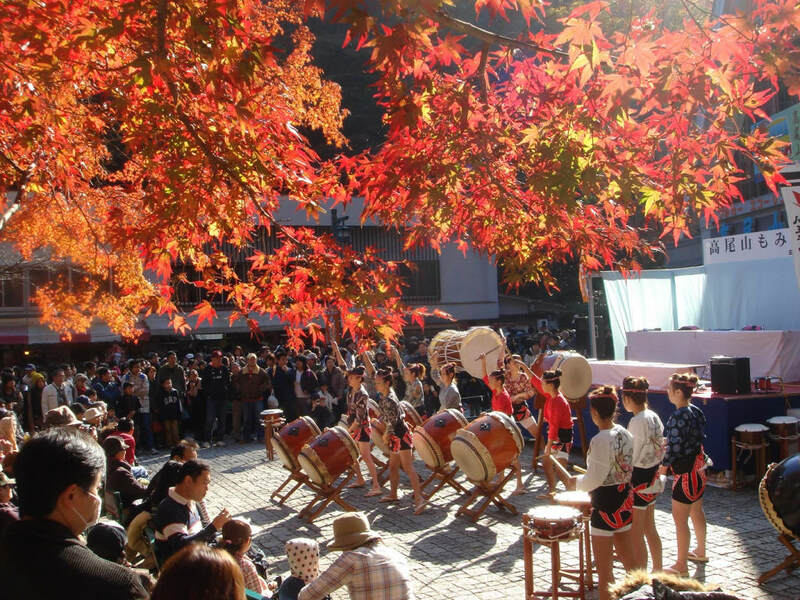 It is famous for its autumnal tints and an event called “Momiji-gari” (to admire the autumnal tints) is held every year. In this issue we introduce “Momiji-gari” in Mt. “Takaosan” for those who want to enjoy the nature in Japan. Mt. “Takaosan” is 599m high and suitable for hiking. It is designated as quasi national park and there are 1,200 kinds of plants and 100 kinds of birds. Along the cable car railway there are various kinds of maple trees which enable you to enjoy very beautiful autumnal tints from the cable car. The autumnal tints in the whole mountain last one month and as such we recommend you to visit the mountain if you visit Japan around this season. You surely can experience Japanese festivity with “Masu-zake” (“sake” served by small wooden cup) and music concerts. Highly recommended! The 12th “Setagaya” Half Marathon will be held this year. It is highly recommended if you would like to enjoy sports in Tokyo in the autumn. Everybody can participate in this half marathon which will start from “Komazawa” Olympic Park Stadium and end at the same stadium. This event is also for charity purpose for the recovery of the Great East Japan Earthquake. The registration for participation starts July every year. Since there are so many applicants for participation in the event, they will be picked up by drawings. In the main venue of “Komazawa” Olympic Park, there are “Kenko” Marathon (a short course marathon for beginners and children) and other events which non runners can participate. In Japan the autumn is a season for sports. Why not enjoy the autumn in Japan and shed some sweat by participating in sports? The National Museum of Modern Art, Tokyo (MOMAT) is the first museum to start a regular display of modern arts in Japan. You shouldn’t miss it if you visit museums in Japan. MOMAT possesses 17 works of “Kaii Higashiyama” for its collection, all of which are displayed in this exhibition. His works are much appreciated for representation of Japanese spirit and contemplation of nature. This is a rare opportunity to see the works of a top Japanese artist. A guided tour is available. This is a must-visit exhibition, if you are interested in Japanese cultures and arts. “Japan” reminds you of famous motorcars. In this issue we introduce “Tokyo Motor Show 2017”, the biggest motor show in Japan held in Tokyo. Not only from Japan but also from all over the world, many auto makers participate in this event. It is one of 5 biggest shows in the world and attracts international attention. In addition to auto makers, tire manufacturers as well as parts producers participate. There are many events which you can participate and experience. Everybody, regardless of age, can enjoy the show because there are test-rides and playing-games, and a “Tomica” (miniature cars by “Tomy”) corner. Since the show is held only every two years, if you miss this chance this year, the next show will be in 2019. Highly recommended not only for car fans but also for those who want to see the latest technology, or are interested in Japanese cars! “Seiji Togo” was the foremost western style painter in Japan. 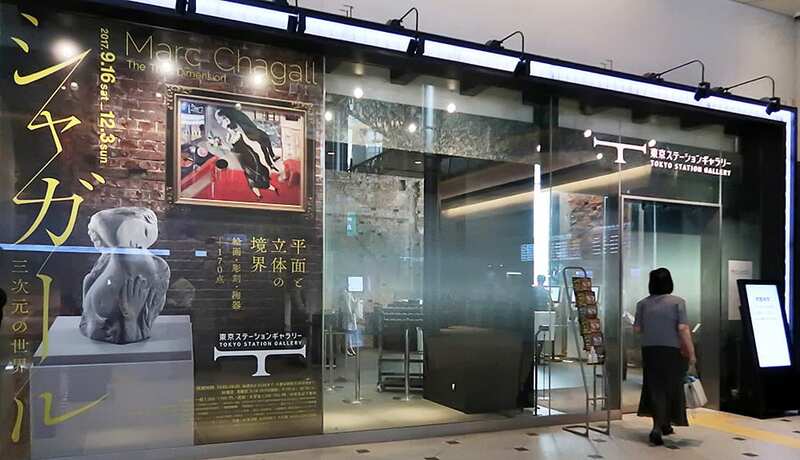 His special retrospective exhibition is being Birthday”, there are many of his works including private collections displayed for the first time to the public. In addition to 60 paintings you will find published materials and photos relating to his works and his period. You will see the historical background of volatile 1930’s through his works. You would appreciate western paintings by Japanese perceptions. Highly recommended to get to know the Japanese art! Marc Chagall, renowned engraver created many sculptures in his later years. We introduce an exhibition held at “Tokyo Station Gallery” where you will find his unknown works of sculpture. Since the gallery is located close to “Tokyo” Station, you have a very convenient access to it. This is the first exhibition in Japan to display his sculptures. For better understanding his works, the display is arranged to guide his sculpture along with related his two dimensioned paintings and sketches. The exhibition is composed of 170 works including 70 oil and watercolor paintings, 60 sculptures and ceramics, and 40 sketches and prints. When you pass by “Tokyo” Station, why not drop by the museum as well? If you want to enjoy arts in Japan, the 4th Nitten (newly reorganized) Exhibition is highly recommended. The contest and exhibition commonly known as “Nitten” is an abbreviation of “Nippon Bijutsu Tenrankai” (Japan Arts Exhibition) and has a history of more than 100 years. There are 5 categories for contest open for the public to participate, namely Japanese Style Painting, Western Style Painting, Sculpture, Craft and Sho (calligraphy). The works selected by the judges are displayed. Around 6,000 entries are made. It is a good opportunity to enjoy various genres of Japanese arts at the same time. During the period of exhibition there are events such as “Enjoy arts by parents and children together”, symposiums and lectures of the works etc., and therefore everyone, regardless of age, can enjoy arts. It would also be interesting to compare Japanese arts with foreign arts.